If there’s any city in Southeast Asia you don’t want to miss it’s Singapore. 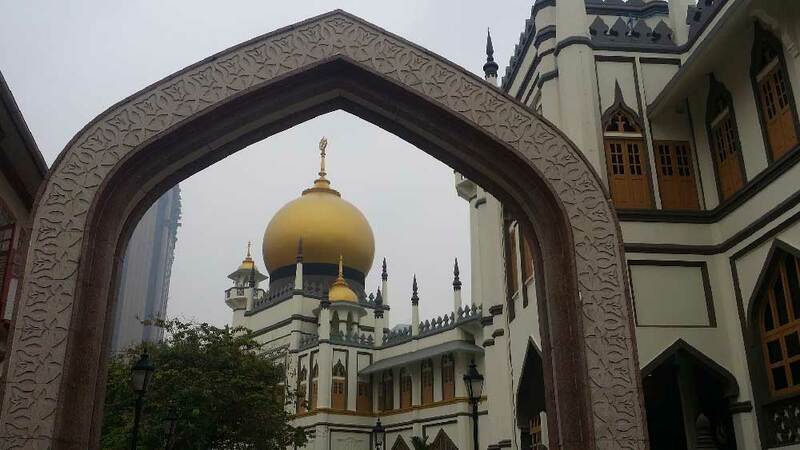 This mini-nation on the tip of the Malay Peninsula defies the region’s usual stereotypes, and is, in many ways, the complete opposite of its popular neighbours. There’s one big thing, however, that Singapore shares with its Southeast Asian brethren: the weather. 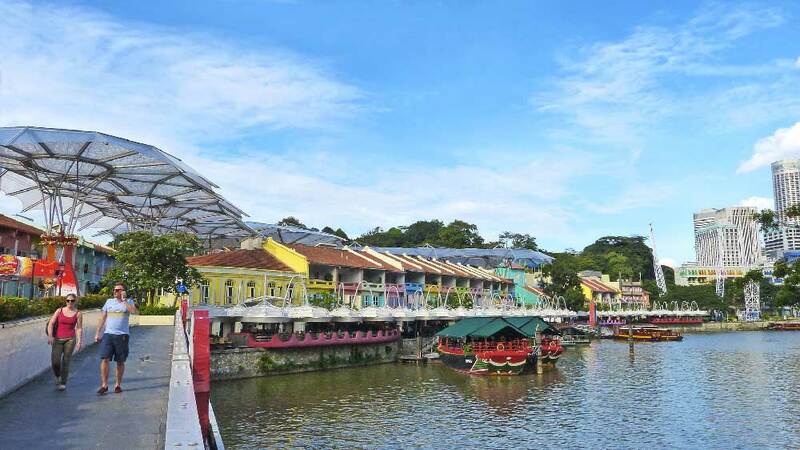 Like much of the region, Singapore isn’t known for year-round perfect blue skies. In fact, at certain times of year, planning at trip here can get a tad complicated. That’s why it’s so crucial to figure best time to visit to Singapore before finalizing your itinerary. 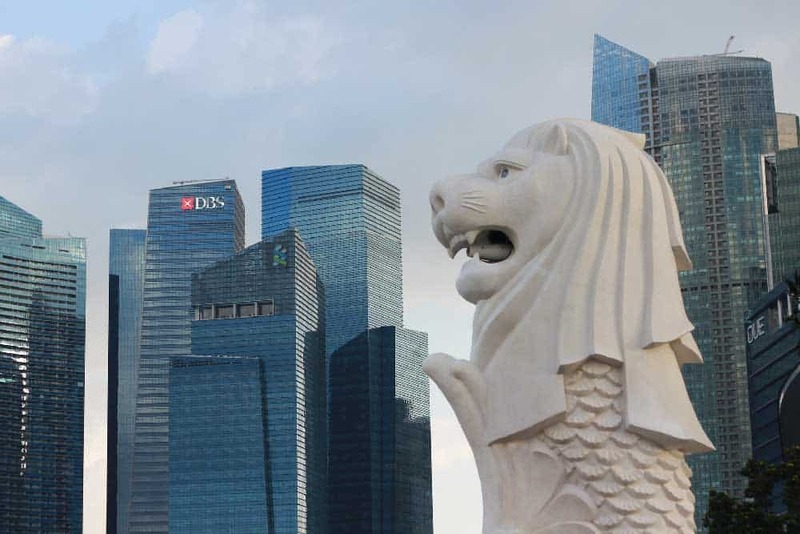 The verdict: When is the best time to go to Singapore? Why visit Singapore in February or March? 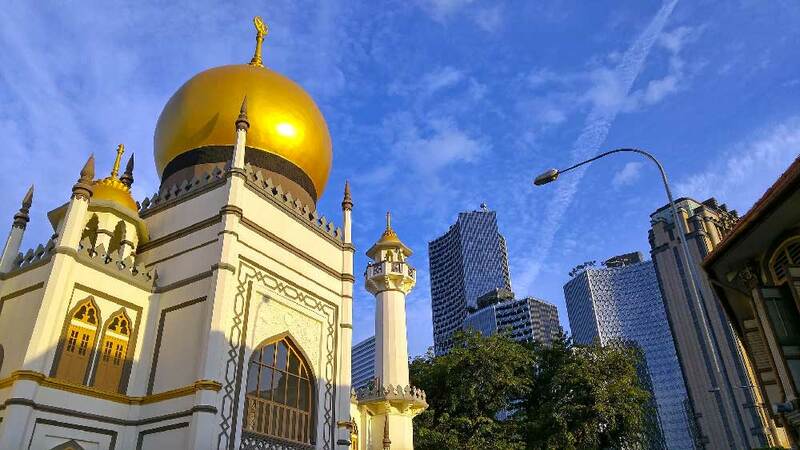 If you’ve already got some experience planning a trip to Southeast Asia, you won’t be surprised to find out that Singapore experiences hot & humid weather all year round. Much like its neighbours, in Singapore this can range between anything from pleasant hot & sunny days to torrential downpours that will make you second guess your decision to travel to this rainy netherworld. Overall, the best time to go to Singapore is between February and April. 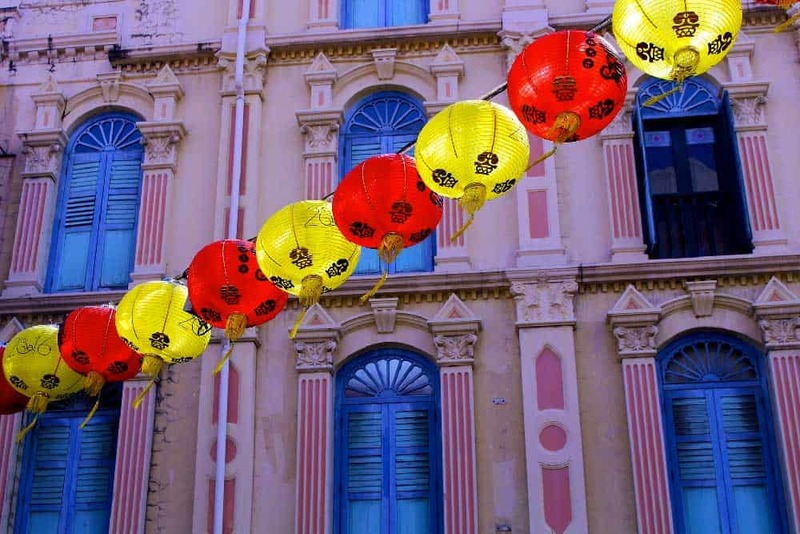 Although Singapore is—for the most part—a year-round destination, the months of February to April fall within Singapore’s dry season and experience (a least a tad) less rainfall than other times of the year. 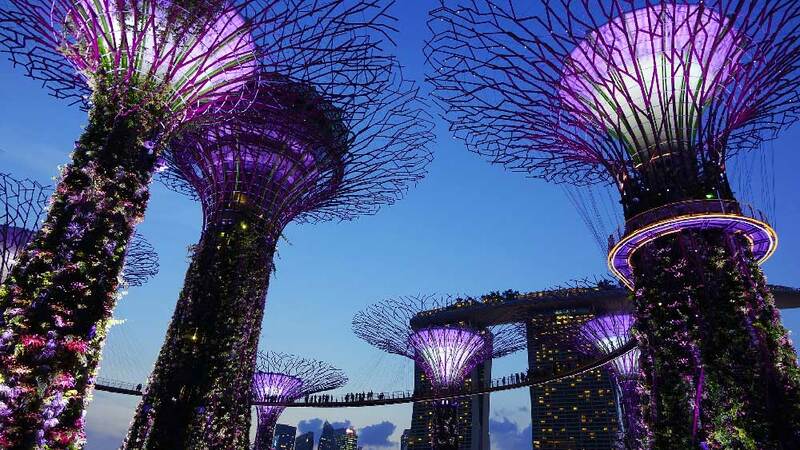 While you’re never quite in the clear in Southeast Asia, a higher chance of sunny days and lower precipitation can go a long way in letting you experience all the top Singapore attractions with less hassle. Ready to travel to Singapore? Don’t forget to protect yourself with travel insurance! What to expect during wet season in Singapore: As the name implies, you’ll need to expect a soakin’ on any given day during wet season. The wettest months of the year in Singapore fall between November and January. Unlike in dry season, rains won’t just come in quick spurts but can last for extended periods of time. 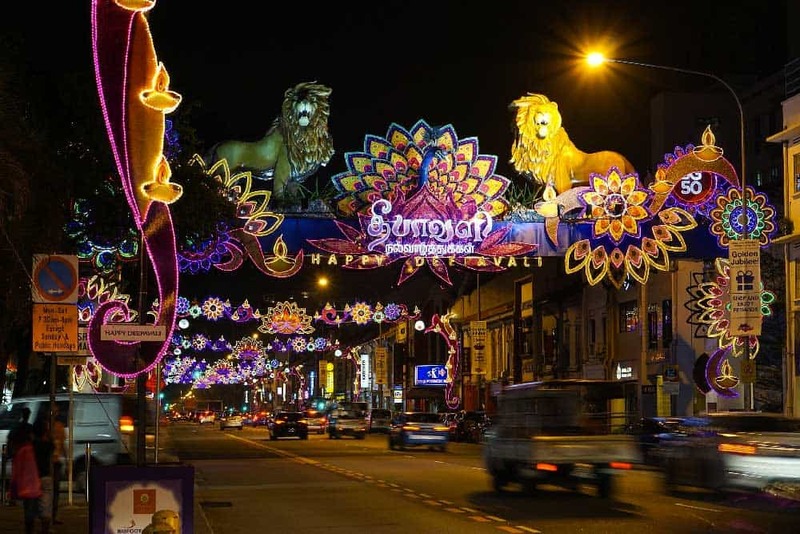 Travelling during this season can really put a damper on your Singapore itinerary. It’s not all doom and gloom either. Even in wet season, you can experience pleasant weather in Singapore. What to wear during wet season in Singapore: Even with all the extra rainfall, Singapore stays quite hot during wet season. Like other times of the year, you’ll want to wear lightweight clothing. I’d recommend splurging on high-performance quick-drying gear rather than relying solely on your ordinary wardrobe. If you get caught in a flurry of rain, you’ll thank me. Also be sure to pack a lightweight & breathable waterproof jacket and a sturdy travel umbrella. What to expect during dry season in Singapore: Don’t expect to be on the hook for perfect weather just because it’s dry season. Even dry season in Singapore is patently unpredictable, and you should still expect to catch some rains during this time. The best weather in Singapore generally falls between February and April. For sightseeing, you’ll likely want to avoid the months between May and August when smoke blows in from clearing fires in Sumatra. During these months air quality can be quite low and the haze can put a damper on your views. What to wear in Singapore during dry season: The heat & humidity, once again, necessitate lightweight clothing. You’ll want to avoid wearing thick clothing like jeans and stick to light materials and colours for comfort. Don’t forget to add an ultralight rain jacket and travel umbrella to your Singapore packing list for the inevitable bursts of afternoon rain. Overview of weather in Singapore in January: January is among the wettest months in Singapore as the Northeast Monsoon is still pushing through. Temperatures are, as usual, quite hot, even if a tad cooler than other times of the year. Overview of weather in Singapore in February: A little hotter and quite a bit drier than the previous month, February is the start of better things to come in Singapore. By this time, the Northeast Monsoon should be on its way out, allowing the weather in Singapore to take a turn for the better. Overview of weather in Singapore in March: Along with February, March is one of the best months of the year to travel to Singapore. With “only” 17 days of rain, March delivers more sunshine to Singapore than normal and is the second sunniest month on average next to February. Overview of weather in Singapore in April: In April the hot weather continues. Although rainfall is slightly lower than in March, there are fewer sunny days as thunderstorms are more frequent. Overview of weather in Singapore in May: Like March & April, you should expect heat & humidity into the month of May. The biggest change comes with the start of fire season in nearby Sumatra. Starting May, Singapore can become infiltrated with smoke & haze from the Sumatran fires. Visitors with pre-existing respiratory problems like asthma should avoid visiting Singapore at this time. Overview of weather in Singapore in June: With the Southwest Monsoon sweeping in, June is a transition period for Singapore. Morning thunderstorms are frequent yet pass through quickly. Like May, the fires from Sumatra can create a unpleasant lingering haze over the city. Despite the less desirable weather, June is one of the busiest months in Singapore thanks to the Great Singapore Sale. Overview of weather Singapore in July: Despite the Southwest Monsoon, July is the driest month in Singapore. Thunderstorms are commonplace, but stop as quickly as they start. Even if the weather is among its best, the haze from Sumatra is still a problem at this time of year. Plus, with the Great Singapore Sale still kickin’, accommodations in Singapore are among their fullest and priciest. Overview of weather in Singapore in August: There’s little change in temperature with a slight increase in rainfall going into August. The Sumatran fires still pose a possible risk, and August can often be a difficult month for anyone with breathing problems. As in much of the year, bursts of thunderstorms are common in August. Overview of weather in Singapore in September: Into the month of September, the Southwest Monsoon gives way to—surprise, surprise!—more heat & humidity. September is slightly drier than August and with the haze from Sumatra finally dissipating, it’s overall a better month to travel. Keep in mind that Singapore hosts its famous grand prix towards the middle of September. Book well ahead or otherwise avoid these dates if you want to keep your travel budget in check. Overview of weather in Singapore in October: Although it’s technically between monsoon seasons, October sees a sharp increase in rainfall compared to September. Average temperatures remain much the same, but afternoons can be slightly more tolerable than the “summer” months thanks to a cool breeze from the straits. Afternoon thunderstorm are expected and can be quite heavy and off-putting. Overview of weather Singapore in November: Like October, November is wedged between the Southwest & Northeast Monsoon seasons. Even so, November’s the second wettest month of the year and is far from the ideal time to travel to Singapore. Expect plenty of heavy afternoon & evening showers. Overview of weather in Singapore in December: By December, the Northeast Monsoon officially rolls into Singapore. December is the wettest month of the year with an average of 269 mm falling over 25 days. Needless to say, this is month that’s best avoided for travellers if at all possible. The best month to visit Singapore is February or March. Heat, humidity & rainfall define the Singapore experience all year round. Although you’ll never fully escape the wrath of Singapore’s typical Southeast Asian climate, February and March are great months to visit. During either, you’ll have the best chance of enjoying your vacation fully. Both February and March fall in Singapore’s “dry” season, outside of the Southwest and Northeast Monsoons when torrents of rain hammer down the city-state. These two months have the lowest number of rainy days (13 and 17 days) in the year and among the lowest overall rainfalls. Compared to other “dry” months like June and July, travelling to Singapore in February and March has other perks. During the summer months, there’s often a haze over the city from fires burning in nearby Sumatra. This can be a big problem for some travellers, particularly those with respiratory problems. 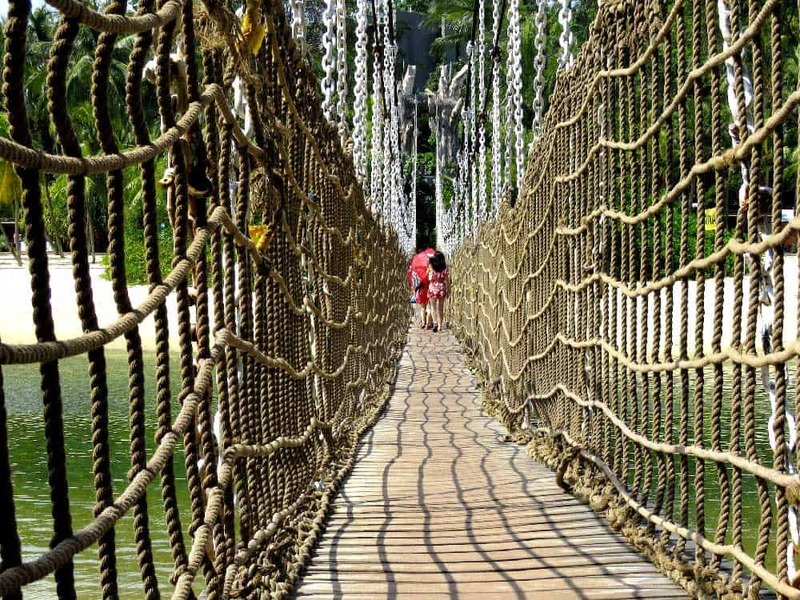 These months also fall within Singapore’s tourism high season. Accommodations will not only be more difficult to find but will be more expensive. And in the already pricey Singapore hotel market, this can put quite the strain on your travel budget—especially if you’re looking to travel in mid-range or luxury style.